*Price will increase due to seasonality. 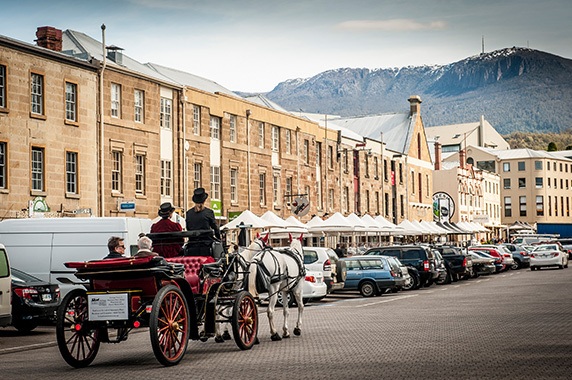 Transfer from Hobart Airport to your hotel for check-in and then you’ll take an afternoon tour of Hobart. Your orientation takes place in Battery Point, Salamanca Place, the Botanic Gardens, Constitution Dock, and Mt. 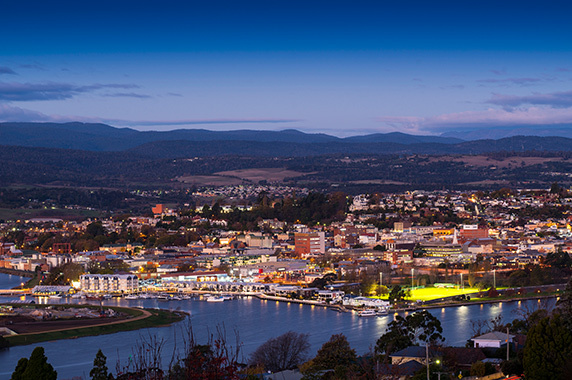 Nelson for amazing views overlooking Hobart. 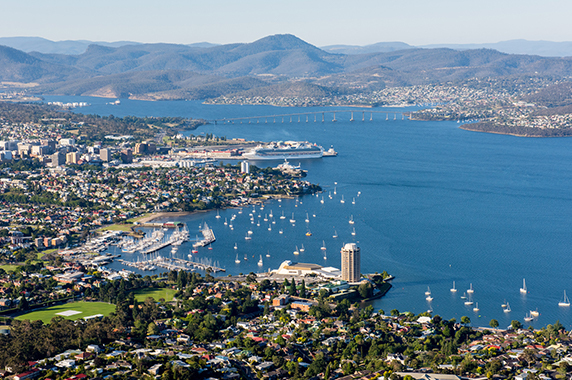 Tonight you will meet your Travel Director and fellow travelers for a welcome dinner with fabulous views of Hobart. This morning you head west to New Norfolk and the magnificent Mt. Field National Park. 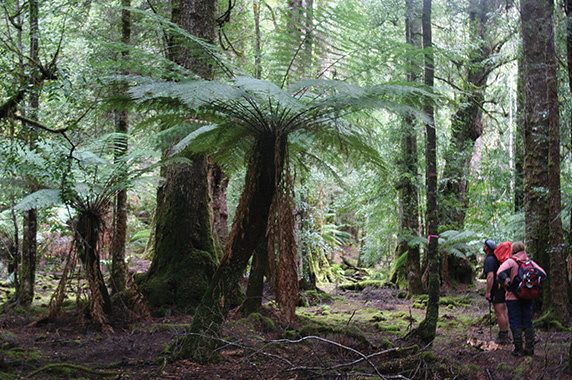 Tasmania’s oldest National Park is the location of the spectacular three-tiered waterfall, Russell Falls, which is surrounded by towering swamp gums. 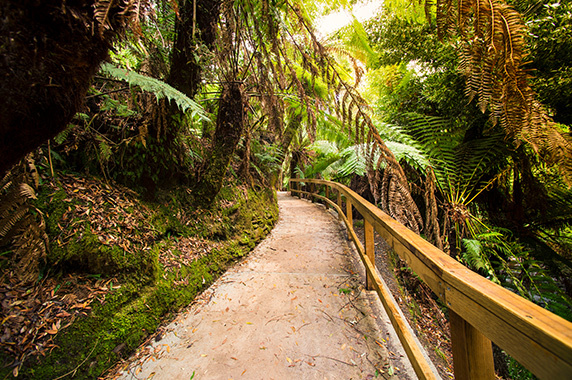 Then enjoy the scenic drive to iconic Lake St. Clair, the deepest freshwater lake in Australia, and continue through the rainforest to the coastal town of Strahan. Nestled on the shores of massive Macquarie Harbour, Strahan is the gateway to the World Heritage listed Franklin-Gordon Wild Rivers National Park. 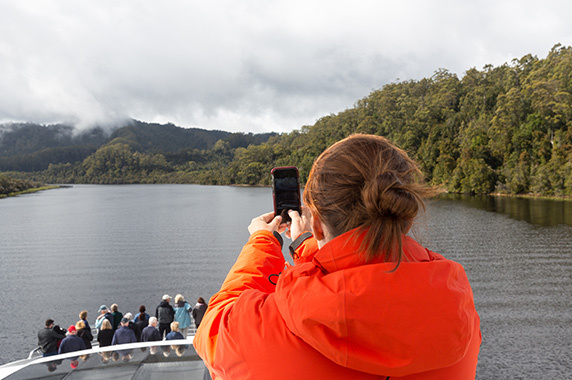 A spectacular Gordon River Cruise, where the wilderness comes to the water’s edge, is the highlight of today. You’ll be awestruck by the beauty of the dark waters, stained amber by buttongrass tannins, reflecting the untouched wilderness. 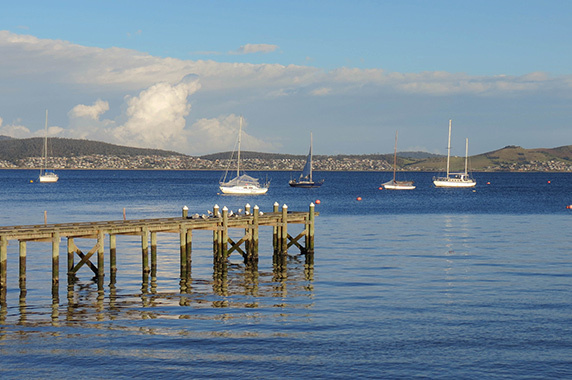 Stop at Sarah Island for insight into Tasmania’s lesser known convict history, the Macquarie Harbour Penal Settlement. See Hell’s Gate and Heritage Landing, site of the 2,000 year old Huon Pine. 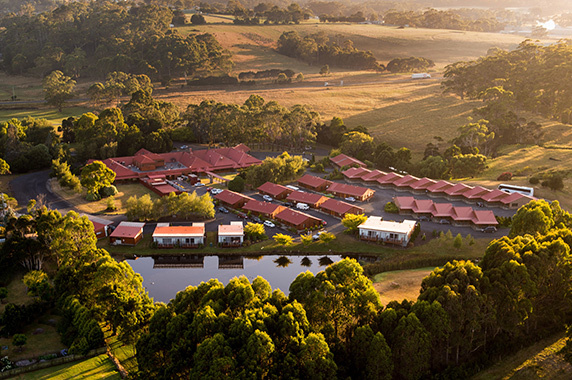 Pass the towns of Rosebery and Tullah as you travel to your hotel on the outskirts of sensational Cradle Mountain National Park. 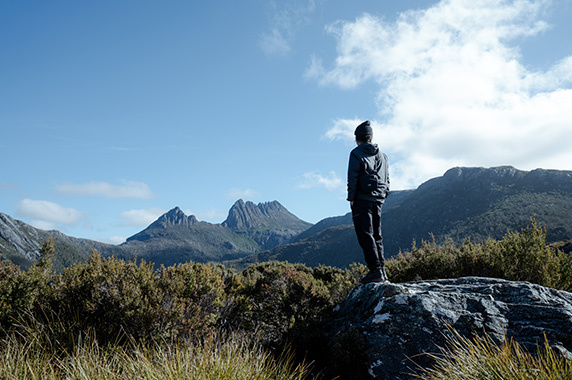 This morning it’s time to explore the inspiring beauty of Cradle Mountain National Park. You’ll go to gorgeous Dove Lake for spectacular views of Cradle Mountain – make sure the camera’s charged, this is a scenic highlight, and the air – there’s none fresher! 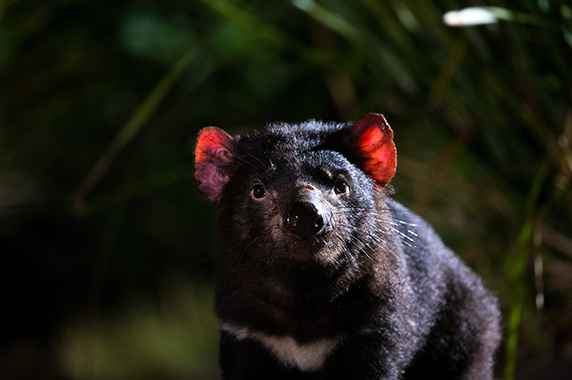 You may spot Bennetts wallabies, echidnas and pademelons grazing through the alpine heath-lands. 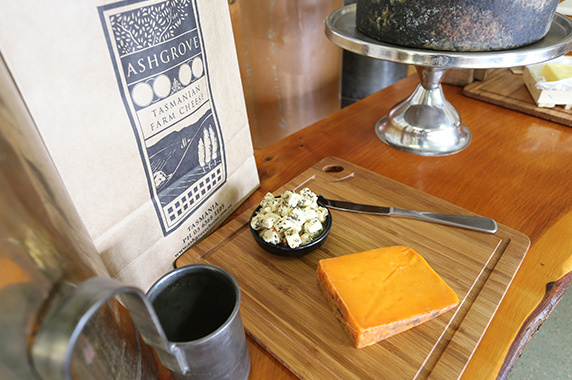 Picture rolling green hills and Friesian cows – this afternoon you’ll think you’re in a butter commercial as you make your way past Table Cape, home of tulips, for views of Bass Strait and coastline. Picturesque Stanley is in your sights as you head west with a view of ‘the Nut’ and a chance to explore. Your final destination is Smithton. This morning travel to Beaconsfield Mine and Heritage Centre through the rolling hills and vineyards of the Tamar Valley. 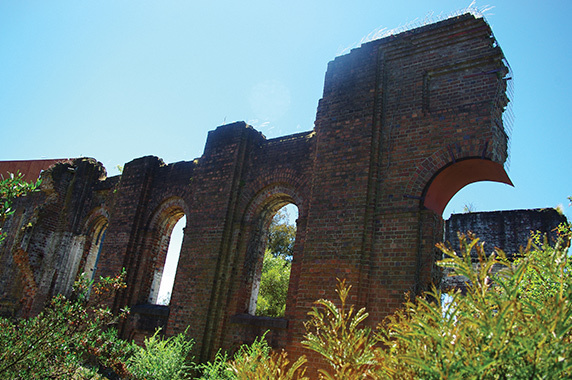 Beaconsfield Mine has a long rich gold mining history. Your expert guide will bring to life the mine’s extraordinary past and tell you of incredible engineering feats, the town’s heritage and the dramatic events of the 2006 rock fall and mine rescue. 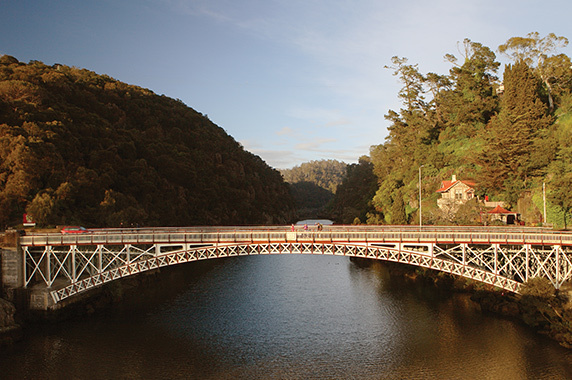 After having time to explore Cataract Gorge, this afternoon is free for you to explore Launceston. Bridestowe Lavender Estate is your first stop today. Bridestowe has been growing lavender since 1922 when a London perfumer planted lavender seeds from the French Alps on his family estate which he named after his wife’s birthplace in England. 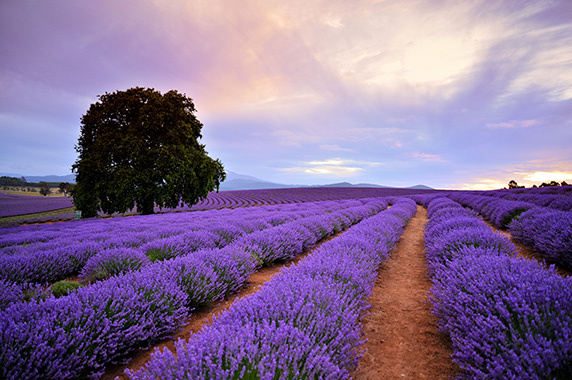 Try some of Bridestowe’s lavender products and treat yourself to their famous lavender ice-cream! Later make a stop at the Legerwood Carved Memorial Trees, planted in honour of fallen WWI soldiers. 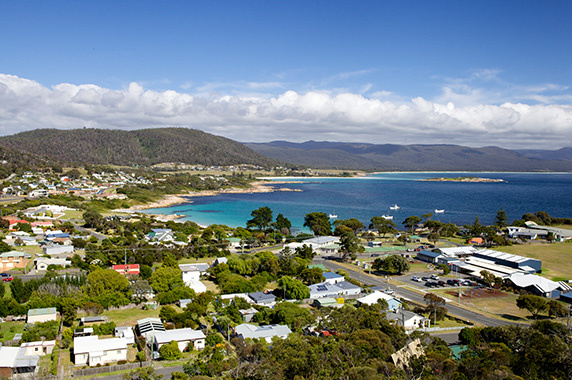 After your lunch time stop at St Helens, follow the picturesque East Coast south to Bicheno. This evening you may like to take an optional tour to see Bicheno’s wild penguin colony as they emerge from the ocean for the night, or even take a tour to see Tassie Devils. 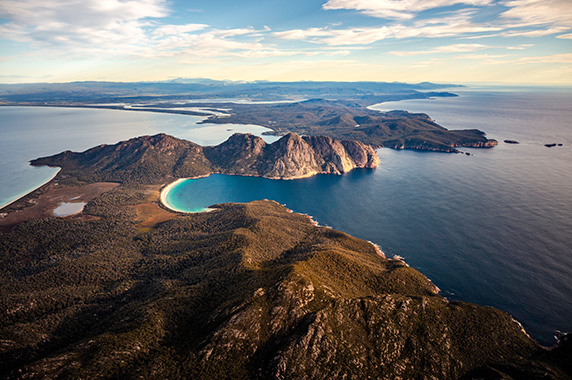 Get your camera ready for the spectacular and breathtaking – Freycinet National Park. You’ll take a walk that will unveil astonishing views across brilliant blue water, forest and golden beach. 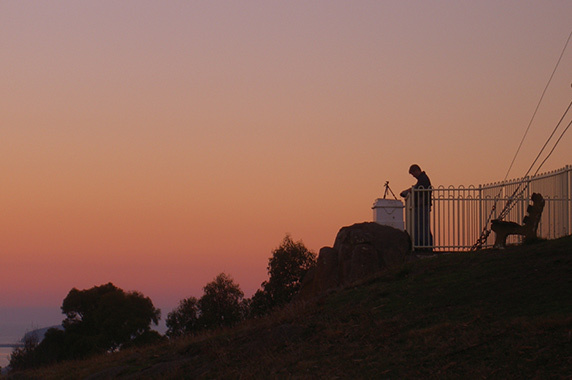 Cape Tourville Lookout is magic! 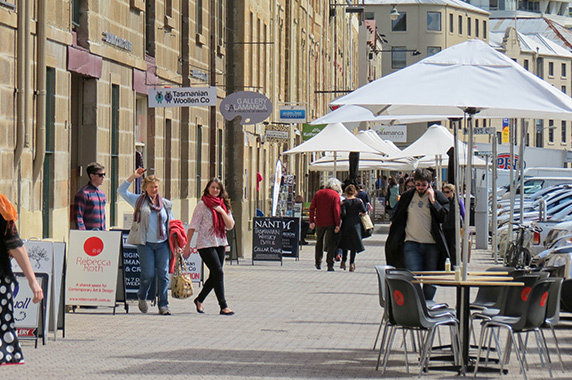 Travel through Swansea and Orford, then chart a course for Hobart. 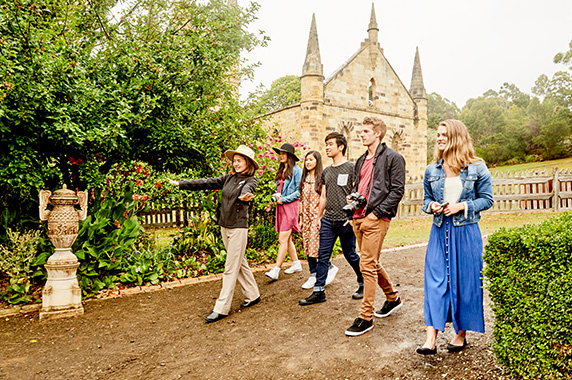 Explore Port Arthur Historic Site today. 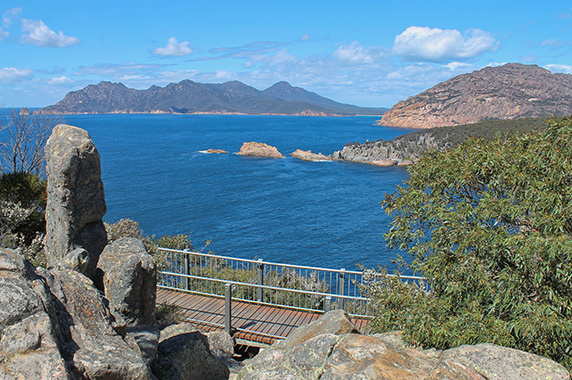 Cross Eaglehawk Neck to the Tasman Peninsula and enjoy a cruise around the Isle of the Dead and a fascinating guided walk of Port Arthur’s infamous convict prison. You’ll have time to wander the site at your leisure before you leave. 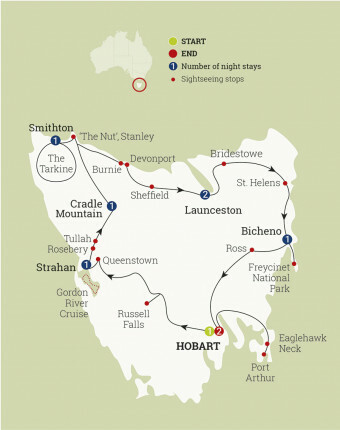 See rugged sea cliffs from Pirate’s Bay Lookout, and feast your eyes on the amazing vistas of Tasman’s Arch, Devil’s Kitchen and the Blowhole on the drive back to Hobart. This evening celebrate your holiday with your fellow travelers at a Farewell Dinner at one of Hobart’s favorite restaurants.